This unique quilt originated way back in the Spring of 2016. I haven’t written much about it for a very special reason. Before I reveal that reason let me share it’s background. 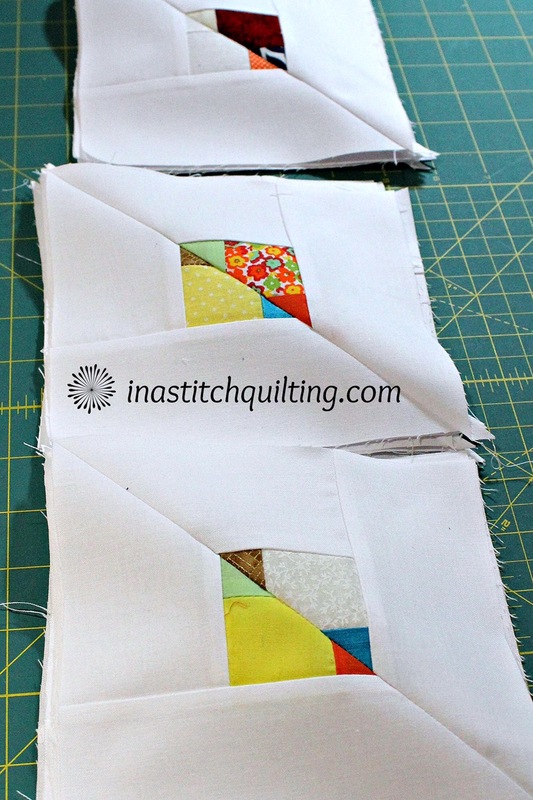 The quilt was made from tiny scraps leftover from a much larger project. Those scraps were surrounded by white cotton then stitched together. Wrapping the perimeter is a stylish teal fabric with a flowing floral design. The name In Motion was inspired by the stitch pattern used to quilt it. The zig-zag straight lines create a wave of motion that moves your eye across the surface. As mentioned above, the mini quilt came into existence in 2016. In May I took it to the Rayna Gillman retreat at Woodland Ridge to share during show and tell. to have my quilt selected. After completing a stack of documents I made preparations to ship them and my quilt to Rayna. For 6+ months my quilt was in the possession of the publisher. Late in March of this year Rayna returned my quilt. Part of our agreement was to keep the book and our arrangement quiet. Refraining from discussion was difficult. Each time I sat down to write a post I thought about the quilt and it’s BIG NEWS. Fast forward to July 20, 2017…the day Rayna officially announced her book. This was also the first time I was given permission to share my BIG NEWS. While I would have liked to share it immediately, my summers are extremely busy. Finding time to write a post about anything is difficult. Thus, the extended delay. No matter how long it took to finally put these words into print the news is still relevant, still exciting. I will receive a free copy of Rayna’s book as compensation for allowing her to include my quilt. I can’t wait to get my copy of Create Your Own Improv Quilts. The book will be in stores in December 2017. To pre-order a signed copy follow the link on her blog. Well, that’s my Big News! Can you believe it!!! One of my quilts is actually going to be in a book! Stay tuned for updates. Awe Shucks! I’m blushing! Thanks Tierney! Your kind words are so much appreciated.